Everyone’s favourite Limerick Duo The Rubberbandits are coming to the Academy, Dec 14th for a special Christmas show. Tickets €20 inclusive of booking fee on sale Friday 19th of October at 9am. Tickets available from www.ticketmaster.ie and Ticketmaster outlets nationwide. With their first full length tv show for Channel 4 set to air in November The Rubberbandits head into Autumn 2012 with a bag on their faces and a song in their hearts. A series of appearances at the best UK festivals, an almost sold out 14 night run at the Edinburgh Fringe and the release of their Irish chart topping album Serious about Men worldwide mean that Mr. Chrome and Blindboy Boat Club have lots to look forward to. Coming off the back of new single “Black Man”, cult hit “Spastic Hawk” and “I Wanna Fight Your Father” ”, the Limerick duo launched their debut album late last year . 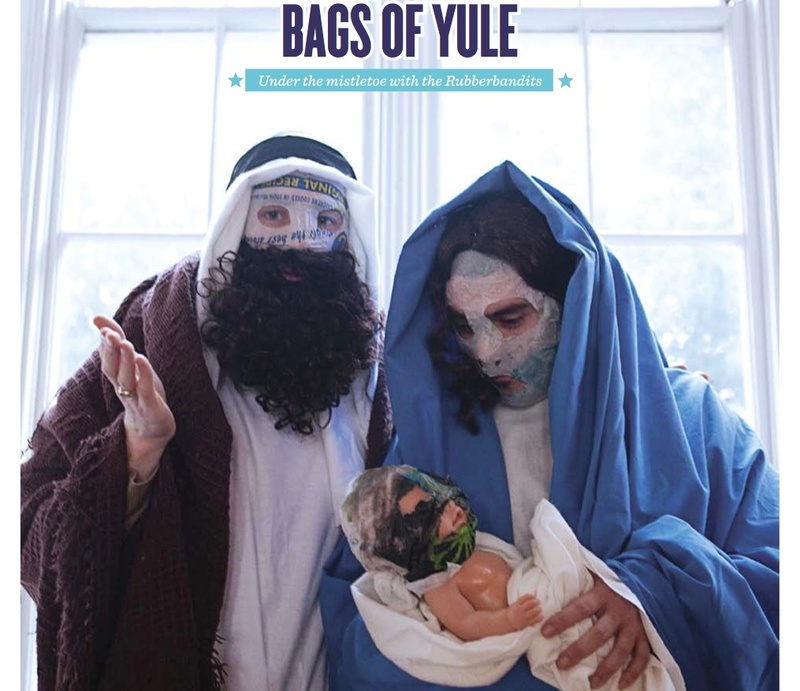 A double-CD release packed with tracks old and new, prank phone calls and more, “Serious About Men” is everything you have come to expect from the Rubberbandits and then some. Having shot to worldwide fame in 2010, it’s been a momentous year for the comedy hip-hop outfit. Blindboy Boat Club and Mr. Chrome became internet superstars after “Horse Outside” premiered on RTÉ’s Republic of Telly and subsequently went viral (over 8 million views and counting!). Critically acclaimed shows at Oxegen and Electric Picnic, storming uk festival appearances at Reading and Leeds combined with a sold out run of shows in New York combined with sell out shows all over Ireland to keep the bandit boys busy. Throw in filming a four part series and live show with MTV in the USA, an Ifta award and their Comedy Blaps filmed for Channel 4 with Fr. Ted’s Declan Lowney on direction duty and you can see 2011 was quite a year for our bagged up boys. 2012 opened up with a sold out Australian tour, another million youtube views for “Shift Girls” and a sold out run of dates In the USA and Canada before their first trip to Edinburgh saw them sell out 12 nights of a 14 night run, pick up the Malcolm Hardee award for most original comedy act and feature on BBC3’s live best of Fringe show. A performance of “Black Man” on Channel 4’s Boyle Variety Show in August came just before the announcement of a string of Winter dates across the UK and Ireland . 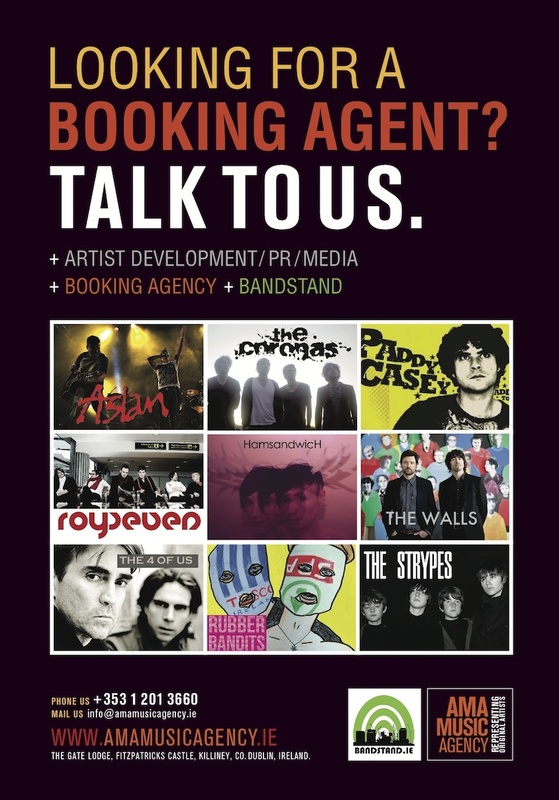 For bookings call +353 1 201 3660 and speak to our team at AMA Music Agency.